There are 197 cat videos tagged with cute. An adorable Scottish Fold kitten looks more like a wiggling worm than a cat! It rolls around on its back to play with a hand. So cute! This munchkin cat has got to be the world's cutest alarm clock. 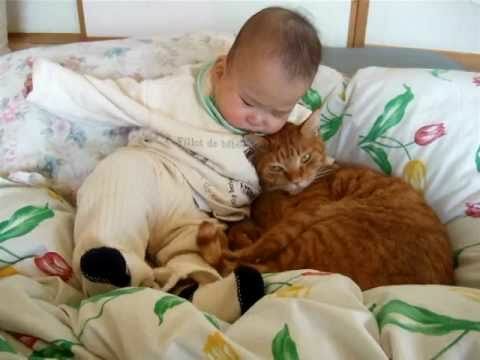 The adorable cat first meowed to try to wake up its owner at 5am but had to try again at 6 when it failed. Orange tabbies are already super cute but throw these stubby legs in there and you've got yourself an adorable cat video. 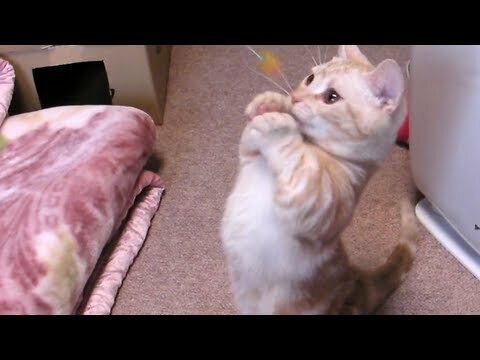 This tiny Munchkin plays with a wand toy and stands up on its short back legs and that's not a whole lot but it's still very cute. 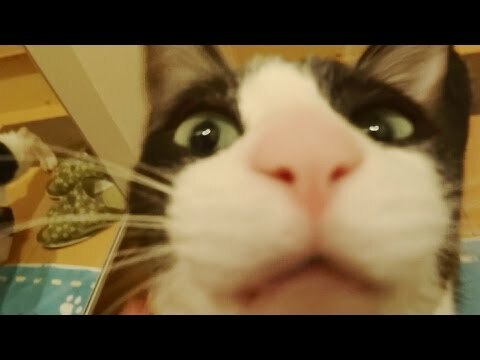 Okay, this is totally edited but it's still a fun cat video to watch. A gray cat appears to put on a cute bunny hat because the video has been reversed and the cat is actually taking the hat off. At the Monkey Forest in Ubud, Bali, Indonesia, YouTube user demulinz captured something fairly unusual... A monkey holding an adorable orange kitten. It's not obvious how the kitten felt about the situation, but it's easy to see that the monkey is in love. 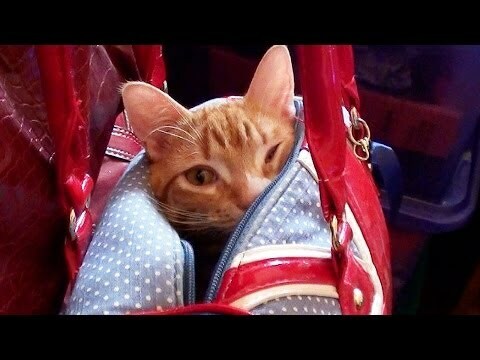 Marmalade the cat disappeared one day and after an extensive search, his owners found him hanging out in a purse. They say it has become his favorite place to take a nap.